Panayiotis Neocleous was born in Limassol, Cyprus. Panayiotis graduated in law from Bristol University in 1994. He is a barrister of the Inner Temple. In 1995 he was admitted to the Cyprus Bar. 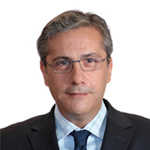 In 2000 Panayiotis became a partner in Andreas Neocleous & Co. At the present moment Panayiotis is a head of the shipping department and of litigation team 3. He is the Cyprus representative of Fraudnet, an initiative of the International Chamber of Commerce that aims to become the world’s leading network of law firms specialising in white collar crime. Main areas of practice: Admiralty and shipping law, company law and international trade law, shareholders’ disputes and Mareva injunctions.